HMRC Phishing Emails Again… Don’t Get Hooked! Warning! Warning! Danger! Danger! 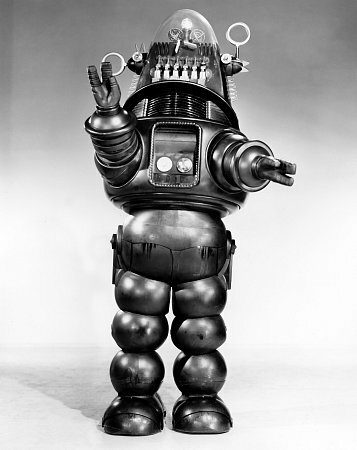 As Robby The Robot would say! Recent reports from HMRC say that 75000 phishing emails have been issued this year, just between April and September, a whopping increase on last year of 70%! We try to remind and warn regularly as the emails can look convincing and we don’t want to see people getting hooked in. Below is an example of an HMRC fake email. (The email you use may look a little different). HMRC do not voluntarily give back money! If you have overpaid tax slightly, certainly for an amount under £100, chances are they will adjust your tax code so you pay less tax to recoup that amount. It is tempting though – the idea of getting a few quid back. These emails have tell tale signs that they are not genuine. As illustrated above, that clickable link will take you to a specially set up phishing site that will look very much like HMRC’s site (probably easier to navigate – there’s another clue!). The email should be addressed personally to you, not sent to a whole bunch of people. It should have Dear Mr Bloggs. It should have some kind of HMRC reference number that identifies you (NI number, UTR number for example). I’m not sure they would sign off Best regards either! This example email is actually written in good English – many are not, and that’s another clue. Remember, if it seems too good to be true, it probably is! If in doubt, give us a shout – we can have a quick looksee for you and keep you out of trouble. If you found this article useful, please like and share :). 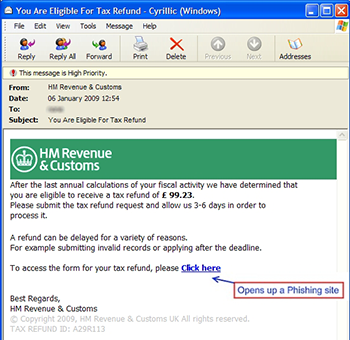 Home » Blog » HMRC Phishing Emails Again… Don’t Get Hooked!